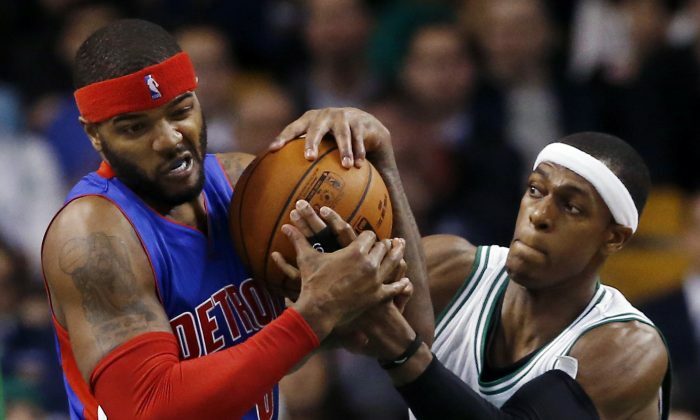 Pistons Waive Josh Smith; Who’s Going to Claim Him? The Detroit Pistons have waived Josh Smith, pulling the plug on a player that still had two years left on a 4-year $54 million dollar contract. Josh Smith has been known for his all-around game throughout his career. Smith was averaging 13.1 points, 7.2 rebounds, 4.7 assists, 1.3 steals, and 1.7 blocks this year with the Pistons. “We are shifting priorities to aggressively develop our younger players while also expanding the roles of other players in the current rotation to improve performance and build for our future. As we expand certain roles, others will be reduced. In fairness to Josh, being a highly versatile 10-year veteran in this league, we feel it’s best to give him his freedom to move forward. We have full respect for Josh as a player and a person,” said coach Stan Van Gundy in a statement. Many consider Smith an overrated player as though he puts up hefty statlines in fantasy basketball, he is mediocre across the board in aspects of true power forward play. However, generally speaking, Smith is still a high caliber player, and will certainly be picked up some team — the question is which. Though it is unknown at this point which teams would covet Smith, fans have already started speculating. Some fans suggest the Dallas Mavericks, citing that Smith played with newly acquired Mavs guard Rajon Rondo during high school, and that he could be a rim-protecting force off the bench behind Dirk Nowitzki ala Brandon Wright’s old role. The Mavericks have also recently been linked to veteran center Jermaine O’neal for exactly that purpose. Others suggest the Houston Rockets and a dominating rim-protecting pair of Smith and Dwight Howard. Other contending teams in need of rim-protectors that could vie for Smith’s services are the Cavaliers, Grizzlies, and possbily the Clippers.